Had a great day touring via a Robinson R44 helicopter to the tundra and glacier. Hiked over the tundra with beautiful wild flowers and along the soft lichen and moss. We had a great lunch over looking to north and south fork of the Trimble glaciers. After lunch we hiked across the glacier looking at the huge boulders that were left as the glacier is retreating. We then take the helicopter back to lodge spotting a mother moose with her young calf and a black bear walking across the braided river. Tomorrow off to Anchorage via float plane and hope to be able to download and post some photos. 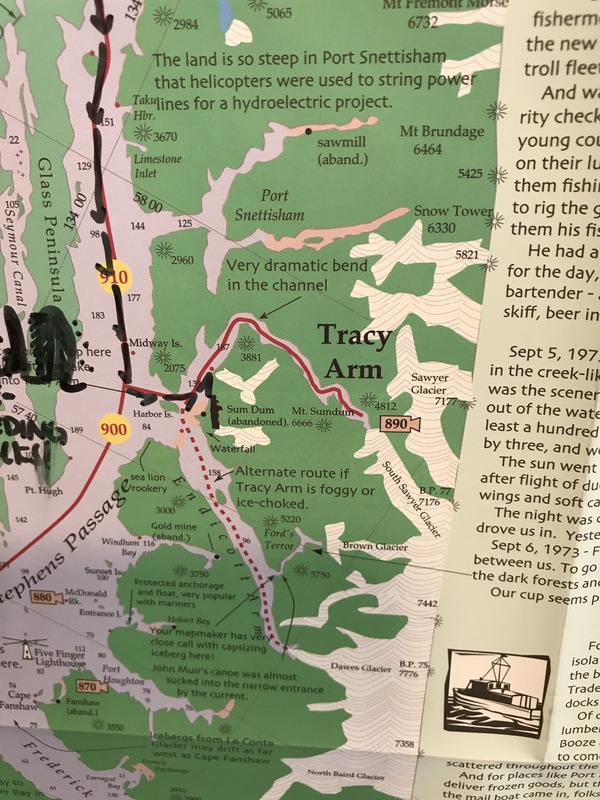 Today we cruised into the Tracy Arm from the Stephens Passage. 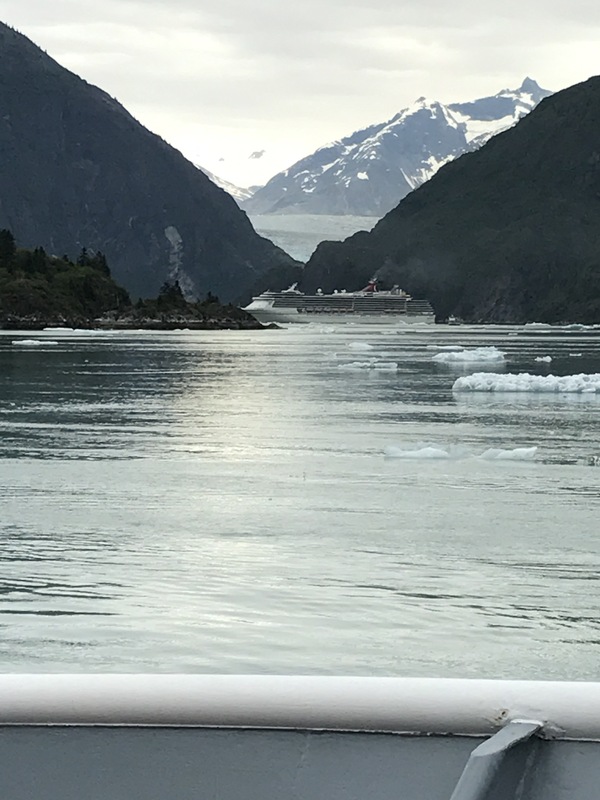 The Tracy arm is a fjord with royal blue colored icebergs that have calves off the South Sawyer glacier. We kayaked around the icebergs keeping our distance as only 10 percent of the bergs are above the surface and they frequently tip over. The South Sawyer glacier has been retreating over the last 50 years. We then took a photo hike through the temperate rain forest with Spruce trees, cottonwood, moss and lichens. There was many Salmon berry brushes of red to yellow color.